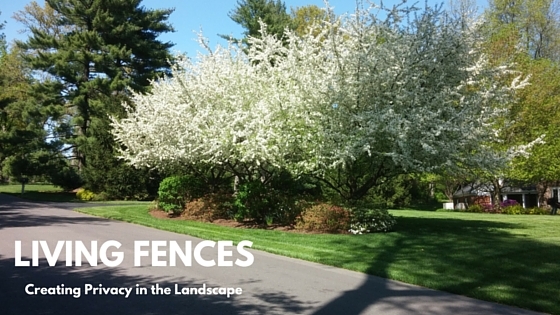 Keep your landscape eye-catching and uplifting even during the dullest of winter days. With a little thoughtful planning, even a bleak winter landscape can be transformed into a captivating view! 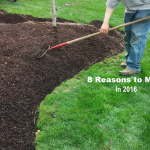 Check out the four essential elements every homeowner needs to create Winter Interest in their landscape. Here in the St. Louis region winter begins to assert itself in mid-November, turning the landscape to varying shades of dull gray and brown until the emergence of colorful Spring bulbs in March. To break up those depressing hues, our designers frequently recommend incorporating a healthy dose of evergreen trees and shrubs – often accounting for as much as 50% of the landscape plantings. 50% may sound like overkill, but we promise it isn’t. Evergreens tend to serve as the anchors of most Midwestern landscapes. In the summer, their cool green tones serve as unobtrusive frames, screens, and dividers that exist in the background as our visual focus is naturally pulled to flowering shrubs and perennials. In the winter, they play stand out roles, drawing our eyes away from empty spaces as eye-catching verdant points in the landscape. Recommended Evergreens: Some of our tried and true favorites in the landscape. When winter limits your garden’s color pallet, consider turning to texture to add a bit of variety and interest to your landscape. 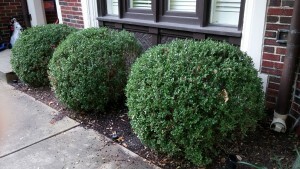 When landscape designers talk about texture in plantings, they’re often referring to the different shapes and styles of leaves or overall plant structure – there’s a great deal of difference between a holly tree and an ornamental grass! As winter naturally limits the garden’s color pallet, texture assumes a greater visual role – so mix and match with different plants to add depth to your landscape. Ornamental grasses are a fast and easy way to add a bit of feathery, free-flowing texture. Grasses come in a wide array of heights, sizes, and even a diversity of colors, ranging from reds to blues, greens, and traditional golds – many of which become more vibrant as they peak in the beginning of winter. As a bonus, stands of grasses often provide shelter to native wildlife, such as small mammals and birds! Another way to achieve texture in the landscape is to use plants with unique bark patterns. Native river birch trees are particular favorite among Midwestern landscapers. In addition to serving as effective shade trees in the residential landscape, their exfoliating bark is always a fun element to see in winter. The paper-like peels that naturally occur are interesting to look at and often create a sense of sun dappled coloring, with peeled bits being lighter than those actively peeling. Sprays of dramatic color may not be available in the winter Midwest landscape, but that doesn’t mean homeowners to have go completely without. 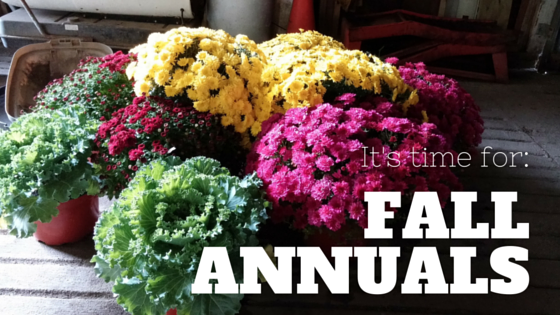 Choose trees and shrubs that set colorful late season fruits and seeds to add a bit of color pop to the garden. Female hollies in particular can be a fantastic winter specimen, with their glossy dark foliage and bright red fruits, but they certainly aren’t the only option. 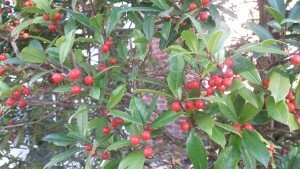 Winterberry and Chokeberry varieties also produce an abundance of colorful fruits that persist into winter. As an added benefit, these shrubs serve as an important food source for many birds, bringing wildlife to your landscape. Winter color isn’t limited to berries by any means! 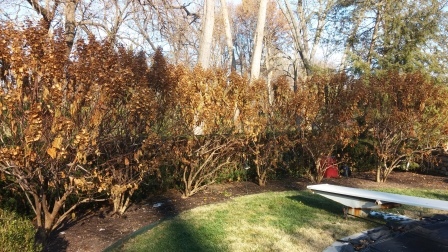 Stem color can also have a big impact in a winter landscape. 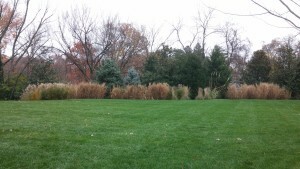 In addition to providing texture, several cultivars of ornamental grasses are known for their attractive winter color. The switchgrass Panicum virgatum ‘Shenandoah’ is an excellent example. 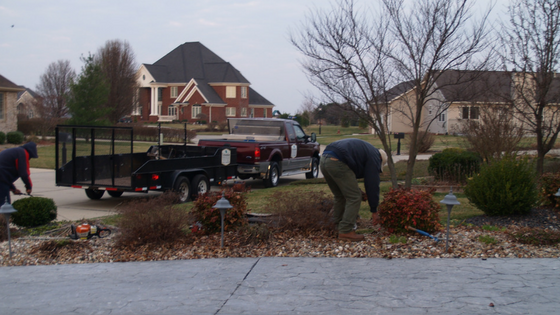 Redtwig and Yellowtwig Dogwood shrubs are another great example. 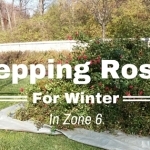 Their vibrantly colored stems are some of our tried-and-true stand out performers in winter landscapes. Our landscape maintenance staff keep them looking their best by pruning away the oldest ⅓ of stems late each winter, promoting healthy new growth for the following year. Every avid gardener knows that the first hard frost of the season spells imminent doom for most of the remaining flowers – most, but not all. Some blooms retain their shape and texture throughout the winter, even as color fades. Hydrangeas are a fantastic example of this, especially those which bloom on hardy older wood. Here, this homeowner uses Tardiva hydrangeas to create an attractive hedge, screening the pool from neighbors in summer and providing attractive dried blooms in winter. Just be sure to give plants a light trim before new growth flushes out in Spring. Hellebore are an often overlooked beauty in the late winter landscape. This low-lying perennial remains evergreen through the cold winter months when planted in a protected, shady area in the landscape. But their true value becomes apparent once they begin to bloom in late winter, with flowers persisting for 8+ weeks. Tip: Hellebore are poisonous, plant responsibly! Have questions, comments, or concerns? Stop by our Facebook page and let us know – we’d love to hear from you!